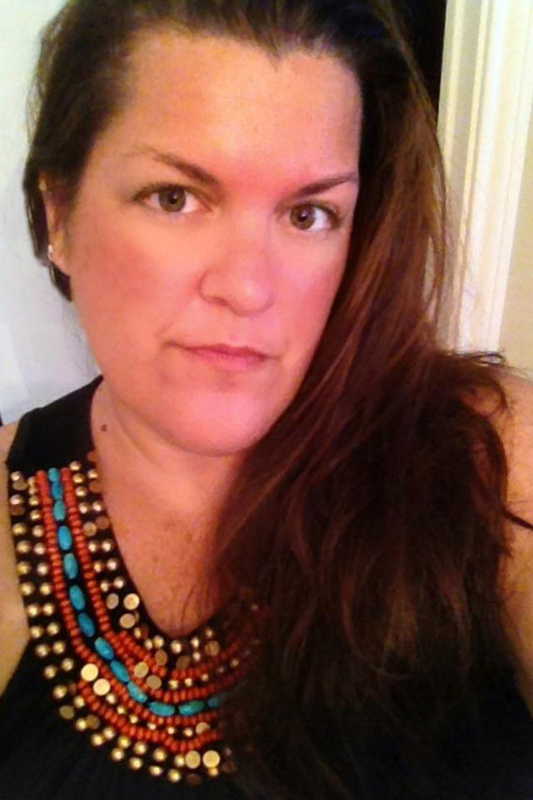 We are thrilled to introduce Guest Designer Nadine! We love to see Nadine's projects when she plays along with our challenges and we were thrilled when she agreed to share her talents here on our blog! Hello my name is Nadine, and I am so excited to be asked to do a guest design post here at Frosted Designs! I am a mom of a 19 yr. old son (who is away at college right now) and an 8 yr. old daughter. My husband, kids and I moved to Texas from Nevada about 4 years ago. Before moving to Texas I owned my own business as a hairstylist and I was also a part owner to a local scrapbook store. Since becoming a stay at home mom, I am really enjoying having more time to spend with my family and more time playing and being scrappy. 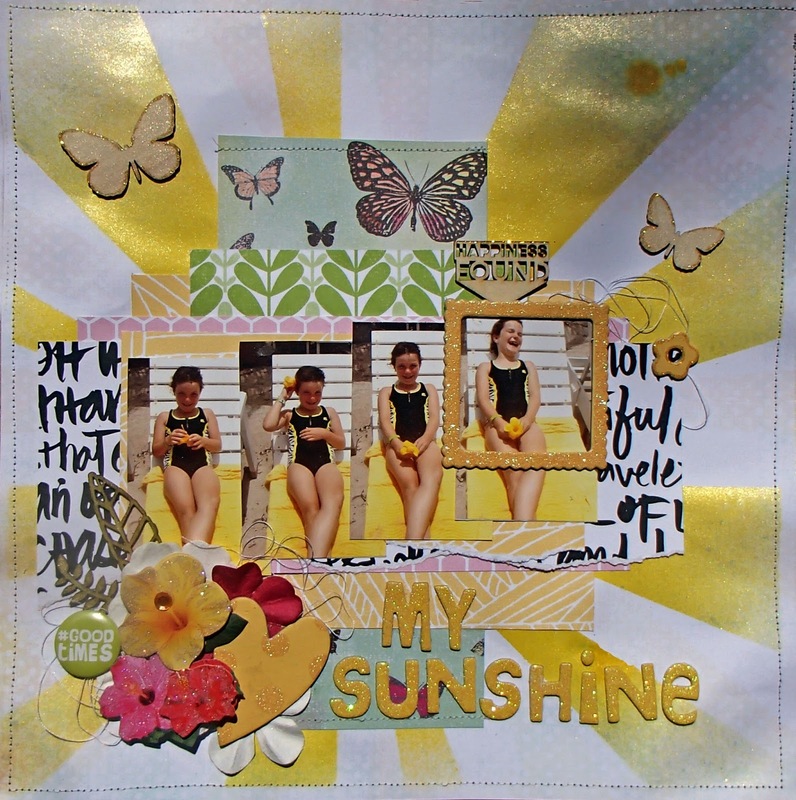 I have been scrapbooking for about 17 years now with 12 x 12 layouts and cards being my favorite things to create. I would say my scrappy style would best be described as eclectic but I also love creating grungy pages too. I always have some kind of a mist or paint on all my pages. Every since I was a kid I always kept everything and either taped with scotch tape (bad idea) or glued it into a scrapbook but I made my 1st "real" scrapbook when my son was just a toddler because I wanted a way to document his first years of life. I've been hooked every since! I made this layout of my daughter with some pictures of her when we were in Belize this summer. She found this pretty yellow flower and wanted to wear it behind her ear for a picture but the wind kept blowing it off before I got a picture. It was one of those moments that you just have to laugh. I like to mix things up and very rarely will use all of the same collection on one page. On this page I used 2 collections from Studio Calico - Brighton Pier and Lemon Lush and the background paper is Heidi Swapp Dreamy. I used a sunburst stencil on the background with a darker color yellow mist in the center and a lighter yellow towards the end of the rays. Did some sewing around the edges and lots of paper layers. Then added a bunch of random embellies I had laying around. Thank you for looking and I hope you liked my page! Welcome Nadine!! This is gorgeous!!!!! I love the colors!!! Yay Nadine! So excited you are our guest designer! Love your work! Gorgeous, fun layout! Wow Nadine.. love love love the colors!!! Congrats Nadine on being our guest designer. Love your gorgeous work. WTG!!!!! You did a wonderful work, love the sunny look!